Beneventan Minuscule script from Orazioni, Naples (Italy), 16th century. 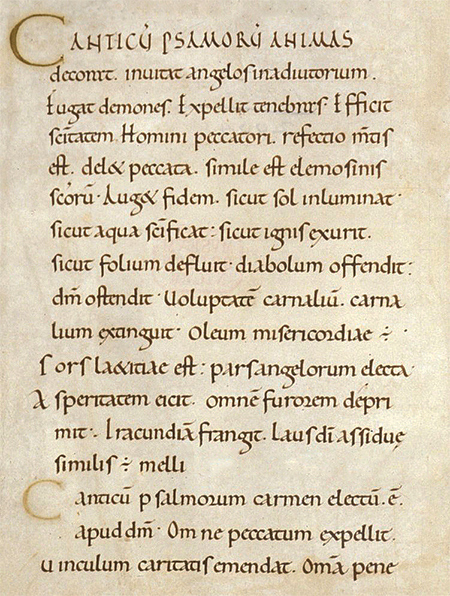 Carolingian Minuscule script from The Ramsey Psalter, Winchester / Ramsey (England), ca. 980. 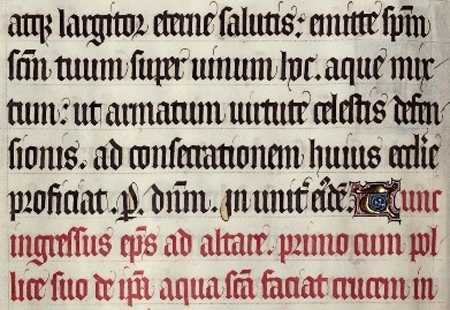 Gothic Textura Quadrata script from Pontificale, France, 1302-16. 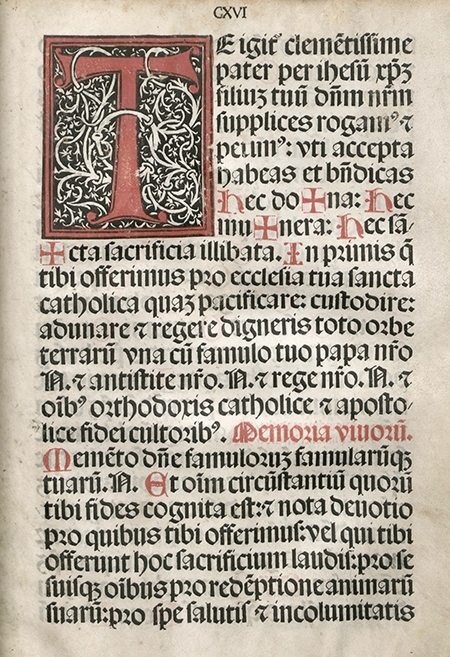 Textura typeface from Missale Coloniense, Wolfgang Hopyl, Paris, 1514. 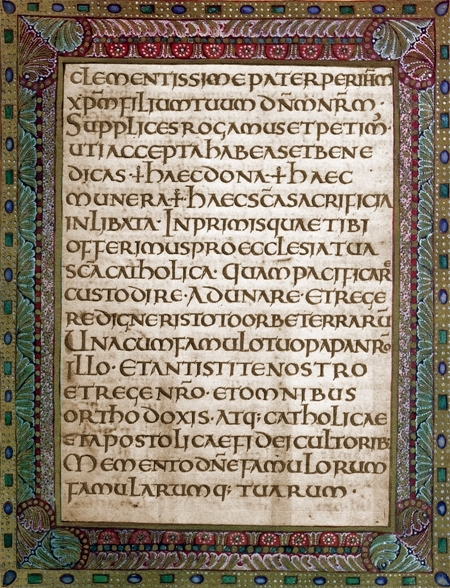 Artificial Uncial script from The Sacramentary of Metz, Northern France, ca. 870. 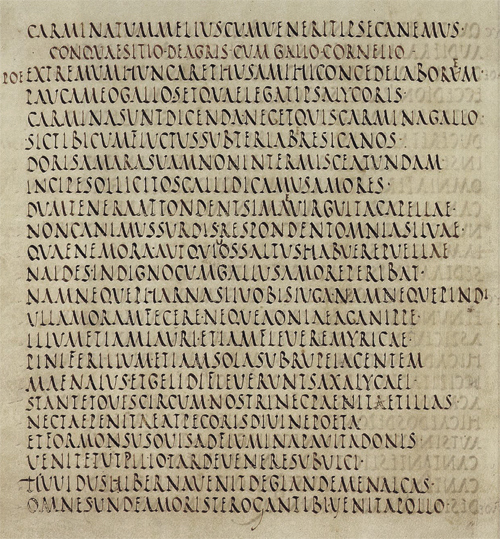 Roman Rustic script from Codex Palatinus, Italy, 4th/6th century. 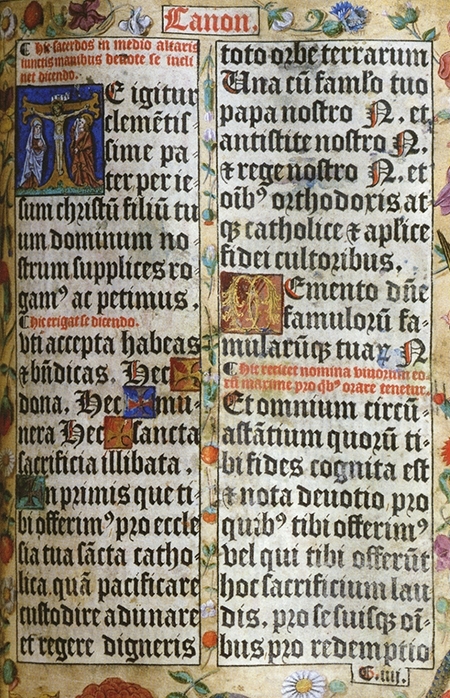 Gothic Textura Quadrata script from The Zwolle Bible, Zwolle (The Netherlands), 1464-1476. 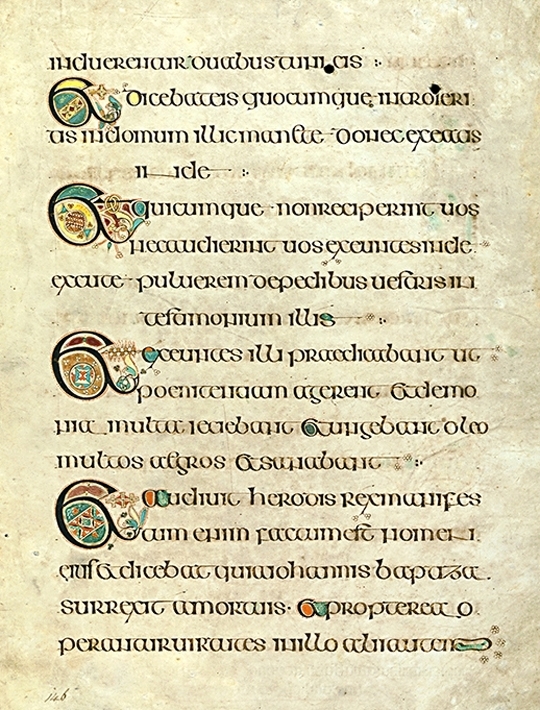 Insular Majuscule script from The Book Of Kells, Iona (Scotland) / Kells (Ireland), ca. 790-830. 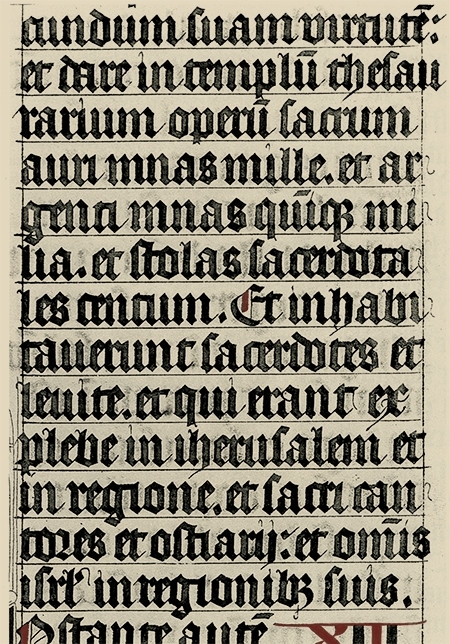 Rotunda typeface from Missale Augustanum, Erhard Ratdolt, Augsburg, 1496. 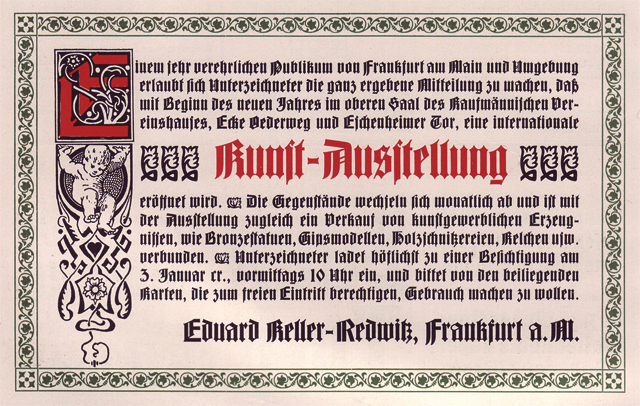 Textura typeface (Barlösius-Schrift) by Georg Barlösius, Bauersche Gießerei, Frankfurt am Main, 1906. 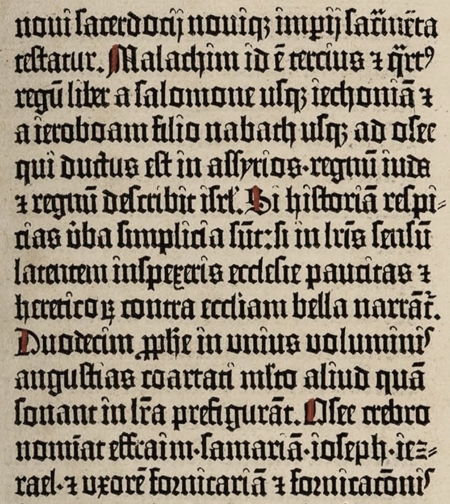 Textura typeface (B42-type) from The 42-line Bible, Johann Gutenberg, Mainz, ca. 1455. 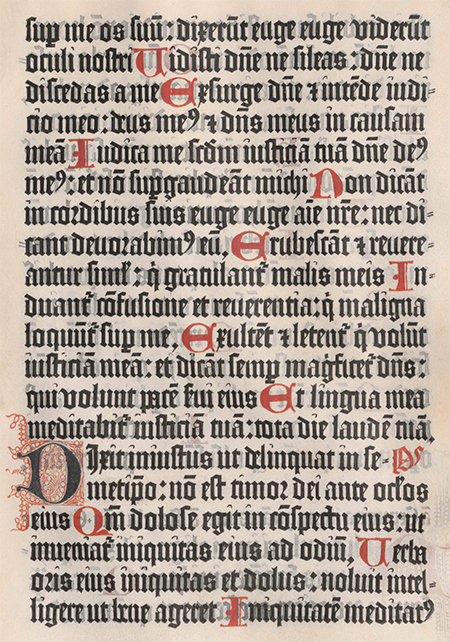 Revived as Gutenberg A (free), Gutenberg B and Gutenberg C.
Textura typeface (Psalter-type) from Psalterium Moguntinum, Johann Fust and Peter Schöffer, Mainz, 1457. 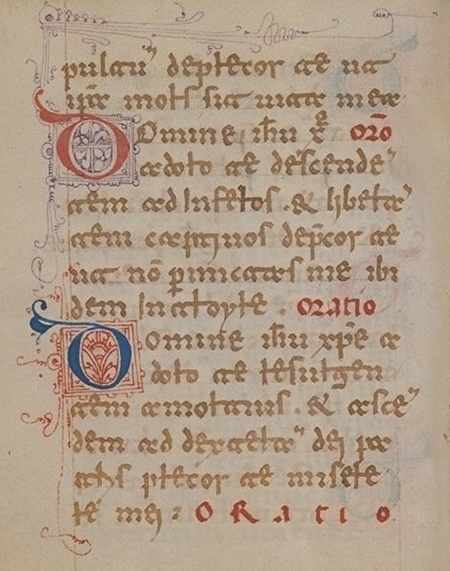 Revived as Psalterium. 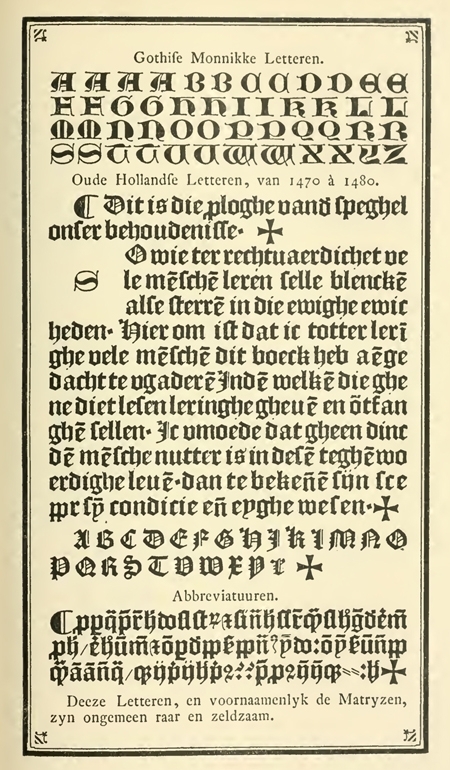 Early Dutch uncial initials and textura typeface from Enschede's Proef van Letteren, Haarlem, 1768. 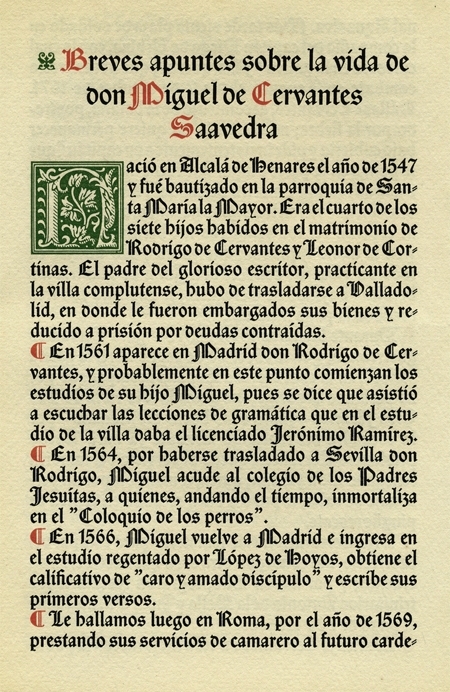 Rotunda typeface (Gótico Cervantes) from Homenaje al Príncipe de los Ingenios españoles, Fundición Tipográfica Richard Gans, Madrid, 1928.